Main gateway to the Azores for air and passenger freight. Competitive airport charges (lower than average airport charges). Mild climate throughout the year. Azores was given the title of being the first destination to receive the Quality Coast Platinum Award. Given international awards thanks to its unique ecosystem and strong cultural identity. Ponta Delgada Airport is available to promote marketing initiatives and provide all the support airlines may need. The airport has co-investment marketing funds to support new business opportunities and unserved routes. There is also strong support from the tourism authority. The total catchment area of Ponta Delgada Airport is the entire population of the Azores which is close to 250,000 inhabitants. 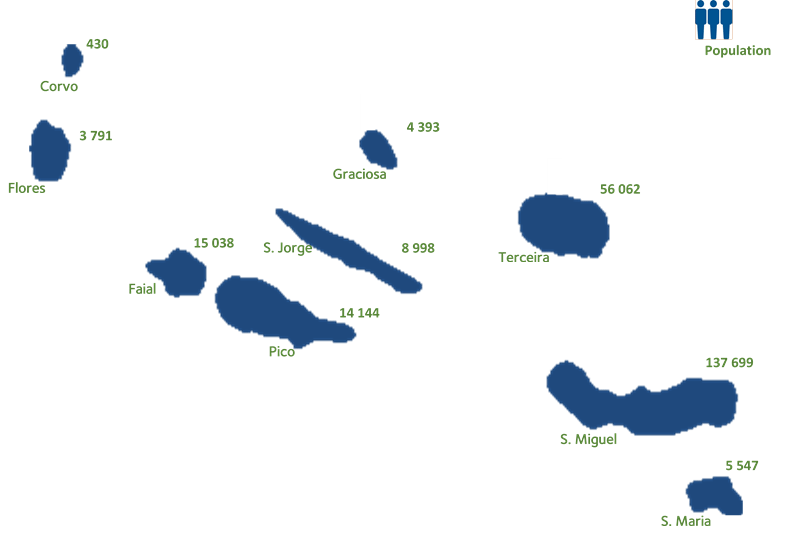 The distance varies throughout the catchment, from between 30 minutes (Ponta Delgada – S. Maria) and 90 minutes (Ponta Delgada – Flores). For further information on freight opportunities please contact the airport. 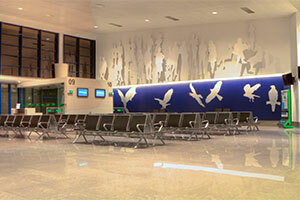 Ponta Delgada Airport is able to accomodate 1,262 passengers per hour. 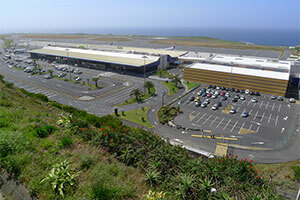 Situated in the Atlantic Ocean, Ponta Delgada Airport has a strategic location between Europe and North America. Ponta Delgada Airport is situated in the town of Ponta Delgada on the island of São Miguel, the largest island in the Azores. Ponta Delgada is a 3-kilometre distance from the centre of town. Ponta Delgada Airport ensures secure services, fast and efficient, with a focus on the needs and expectations of every client. Ponta Delgada is a modern airport designed to deliver first class operational facilities for both airlines and passengers. Medium temprature: 23°C summer/ 15°C winter. Runway length: 2,353 metres/7,700 ft.
Taxiway width: 23 metres/75 ft.
Aircraft stands: 16 (up to 747). Passengers per hour (departures & arrivals): 1,262 (642:620). Movements per hour (departures & arrivals): 14 (six:eight). Firefighting: CAT 7 until CAT 9/FAA index E.
Total passengers: 1.27 million – a growth of 29.5% when compared to 2014. Aircraft movements: 13,400 – a growth of 15% when compared to 2014. Passenger split by airline: Scheduled (73%); LCC (25%); Charter (2%). Home-based airlines: Azores Airlines and Ryanair. 28 non-stop destinations and 12 airlines serving Ponta Delgada Airport. Passenger purpose of travel: Leisure: 41%; VFR: 31%; Business 28%. Age: 18-24: 8% | 25-34: 23% | 35-44: 33% | 45-54: 23% | 55-64: 7% | >65: 6%. Airport charges: Regulated Charges Guide 2016.